Eight months later, she sold A Bride Most Begrudging to Bethany House Publishers. Since that debut, her very original, very fun romances have rocketed up the bestseller lists and captured readers everywhere. Add to this two consecutive Christy Awards, two RITA nominations, rave reviews, and a growing loyal fan base, and you’ve got one recipe for success. 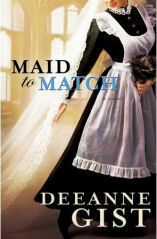 Her 2010 books, Beguiled and Maid To Match are now available for order. Gist lives in Texas with her husband of twenty-seven years and their two border collies. They have four grown children. 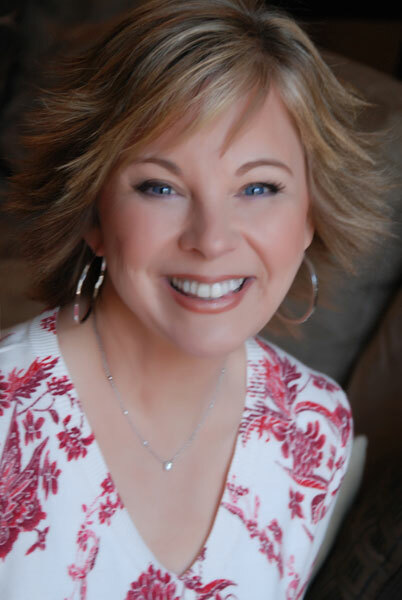 Visit her blog to find out the most up-to-the-minute news about Dee. Falling in love could cost her everything. From the day she arrived at the Biltmore, Tillie Reese is dazzled, by the riches of the Vanderbilts and by Mack Danvers, a mountain man turned footman. When Tillie is enlisted to help tame Mack's rugged behavior by tutoring him in proper servant etiquette, the resulting sparks threaten Tillie's efforts to be chosen as Edith Vanderbilt's lady's maid, After all, the one rule of the house is no romance below stairs. But the stakes rise even higher when Mack and Tillie become entangles in a cover-up at the town orphanage. They could both lose their jobs, their aspirations...their hearts. If you would like to read the first chapter of Maid to Match, go HERE.